Fantastic THAMES Celebration concert last night! Great to see so many groups of young musicians from across Tower Hamlets including Drum Works And the Tower Hamlets Youth Orchestra. 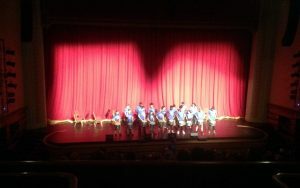 Well done to all the tutors and musicians! One of the highlights of many SMC end of term concerts is performance by the Contemporary Bands and Blues Band, as they deliver a repertoire of classic Rock and Blues numbers that gets many a foot tapping in the audience. The ones old enough to remember classic rock numbers, at least. Well, a recent donation from a parent will support these groups with some new kit, and THAMES friends will match the donation, allowing THAMES to spend £1000 on new band equipment. Thanks ever so much for the donation – and we’re all looking forward to hearing the new kit in action the next time the Contemporary Bands perform. THAMES friends applied for a grant to help support the Soundbox project, with a successful outcome! The Charles S French Charitable Trust liked our application, and has approved a grand of £1000! This will fund a Pastoral Care Worker who will play a vital role in the sessions where disabled and non-disabled young musicians work together at the Saturday Music Centre. While music is at the heart of what goes on at SMC and Soundbox, the Pastoral Support this funding will afford may be the key to the success of this inclusive project. Well done, Liz, for putting the application together, and many thanks to the Charles S French Charitable Trust. THAMES friends, and the young musicians it supports, has benefited from two very generous donations recently. The first, an anonymous donation for £1000 earlier in the year will allow us to commit to supporting projects where professional musicians will visit the Saturday Music Centre to work with our young musicians. Thanks ever so much for this support for the young musicians of Tower Hamlets. When private individuals who are UK taxpayers make donations through Virgin Money Giving (http://uk.virginmoneygiving.com/charities/thamesfriends), we are able to reclaim Gift Aid – for each donation made this way, THAMES friends will receive an extra 25% So, please keep those donations coming! Following that, Talbot Underwriting Ltd also made a very welcome donation of £2000, that will allow us to continue to make contributions to projects at the Saturday Music Centre, as well as support a planned tour by the Tower Hamlets Youth Orchestra. Thanks Talbot Underwriting – this gift will certainly be put to good use! Another great concert! 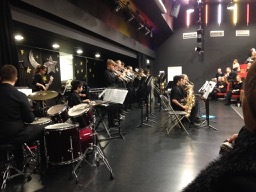 And another excellent performance by the SMC Big Band – in a programme packed with lots of other excellent performances. 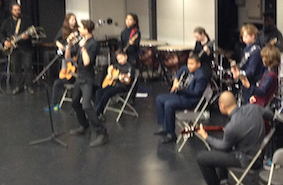 Great stuff – well done and thanks to all of the SMC musicians and tutors. 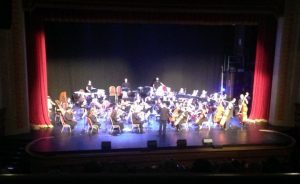 Soundbox is an all-ability, inclusive music project involving Drake Music (http://www.drakemusic.org), Spitalfields Music (https://www.spitalfieldsmusic.org.uk/), The London Symphony Orchestra (https://lso.co.uk/) and THAMES (https://webfronter.com/towerhamlets/thames). Young disabled and non-disabled musicians from East London will work together at the Saturday Music Centre, creating new music and preparing for performances at the THAMES SMC end of term concerts. This excellent project sounds like just the sort of thing THAMES friends is intended to help to support. But a project like this won’t run for free, so THAMES friends have committed to helping out by funding a part of the project. We’ll be trying to raise funds to make a contribution to support Soundbox. Watch this space!